Well, just after - I meant to write this on 1 May, but have been languishing in bed with a pesky cold. I've decided that from now on I'll move the focus a little for this blog, so that it's mainly about reading and writing, two pursuits that were central to Harvey's life, as they are to mine. 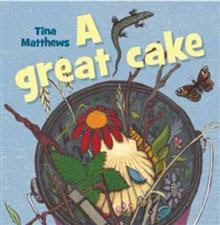 So it's fitting that this post centres on a wonderful children's book, A Great Cake by Tina Matthews. I heard Tina talking about it to Kathryn Ryan on Nine to Noon. Apart from the fact that it sounded such fun, what caught my attention and made me go to Unity Books and buy it next day was the name of the little boy: Harvey. 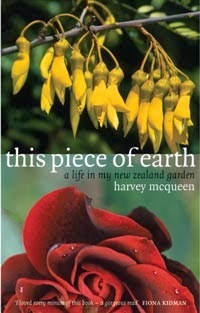 It's the first New Zealand picture book I'd heard of which features that name. Both the words and the pictures are by Tina, and she's come up with the most realistic family I ever saw in a kid's book - piles of washing, authentically messy kitchen and living room - as well as an enviably patient and creative mother. I'll be posting it soon to Taylor and Ryan, with a line inside that they won't understand yet, but their mother will appreciate: "From your great-auntie Anne, in memory of your great-uncle Harvey, who loved books." Oh dear, I don't think I can remember what I said. It must have been on the previous post. So sorry I lost it! It was a lovely post about being able to see that I was in a new space.